Dinafem Feminised Cannabis Seeds was finally born in 2005, after years of guerrilla growing in the Spanish mountains and intense study of all available growing guides and techniques. 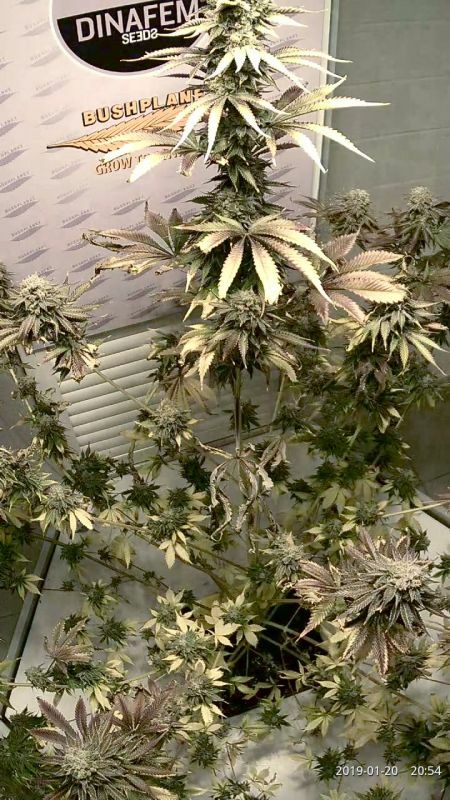 Dinafem Seeds' founder, Mister Green Finger, has studied his craft in England and in Holland and has dedicated much of his life to learning all about the cultivation of cannabis seeds, especially the feminised variety. Gorilla comes from the Chem family and offers Indica fans versatile taste impressions from America. It is Indica dominant, but its growth is that of a hybrid plant: lime green, rather medium-sized leaves, medium internodes and a medium to large growth height. The flowers are dense, slightly rounded, heavy balls with a lot of resin and aroma. The Diesel and Chem genes give her a mix of strong benzine notes and a sour, earthy taste.